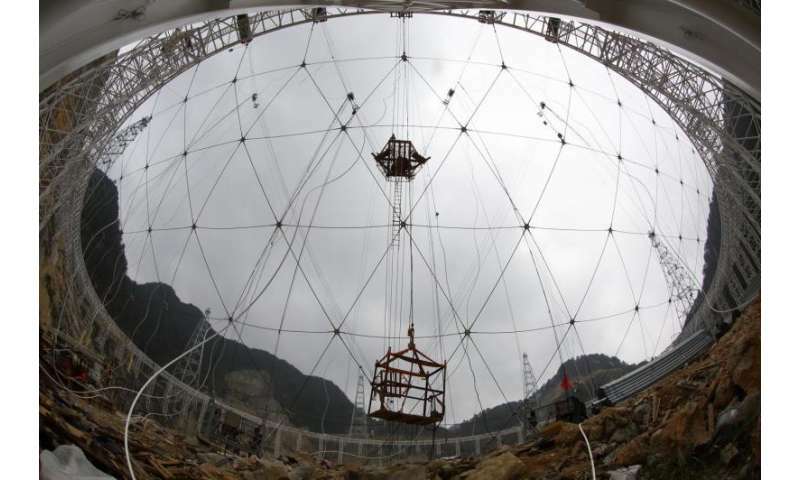 The National Astronomical Observatories of the Chinese Academy of Sciences (NAOC) has teamed up with CSIRO engineers in the development of the world's largest single dish telescope – the Five hundred metre Aperture Spherical Telescope (FAST). The telescope's 19-beam receiver, a key component, is being designed and built in Australia by CSIRO engineers. CSIRO Chief Executive Dr Larry Marshall said the project was a great example of Australia's innovative technology being delivered on the world stage. "Global collaboration is an integral part of CSIRO's Strategy 2020, as it maps out our desire to deliver science, technology and innovation to new customers and markets, while also delivering benefit back to Australia," Dr Marshall said. "This is a really exciting project and builds on 40 years of CSIRO collaboration with Chinese industry and research organisations." "The powerful receiver we've created for FAST is the result of our long history developing cutting-edge astronomy technology to receive and amplify radio waves from space," Acting Director CSIRO Astronomy and Space Science, Dr Douglas Bock said. 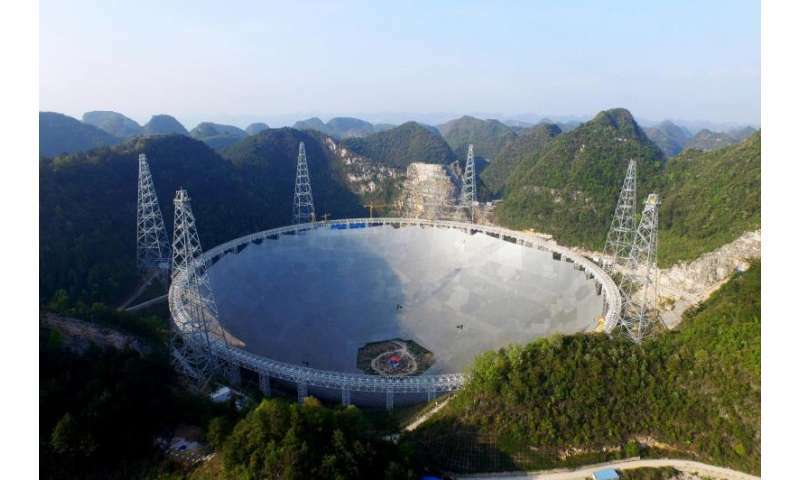 "Extending our technology and collaboration to China and working on what will become the world's largest radio telescope really cements our position as a global R&D leader in this space." 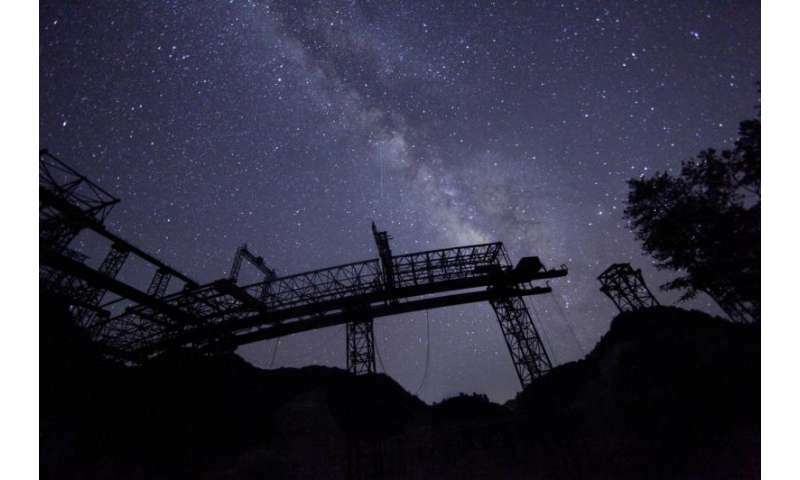 "FAST will make it possible for us to look for a range of extremely interesting and exotic objects, like detecting thousands of new pulsars in our galaxy, and possibly the first radio pulsar in other galaxies," he said.